At Enchanted Travel, we pride ourselves on providing first-hand, reliable insight and expertise for our clients. 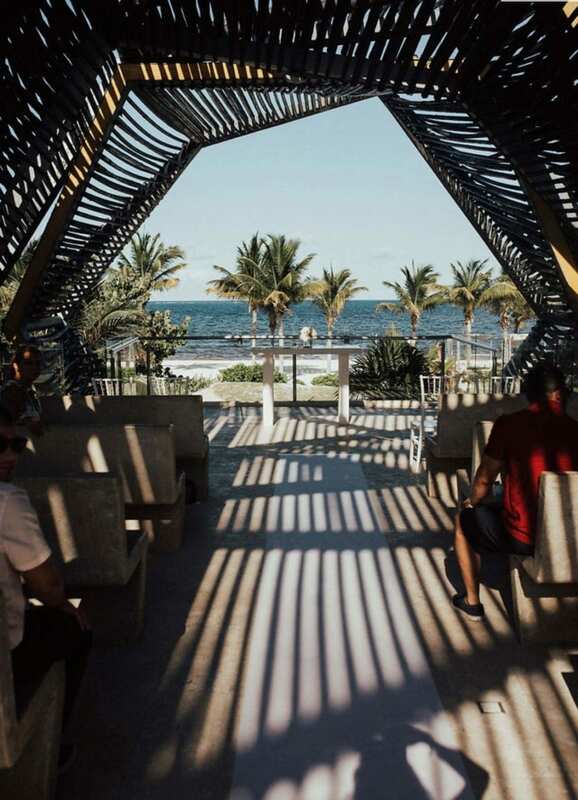 Our team of destination wedding experts have been all over Mexico, the Caribbean, and beyond to see the top resorts and venues. Two of our destination wedding specialists were recently married in Mexico, so they have an even more unique perspective to share. Let them help you plan your big day in Mexico, the Caribbean and beyond! 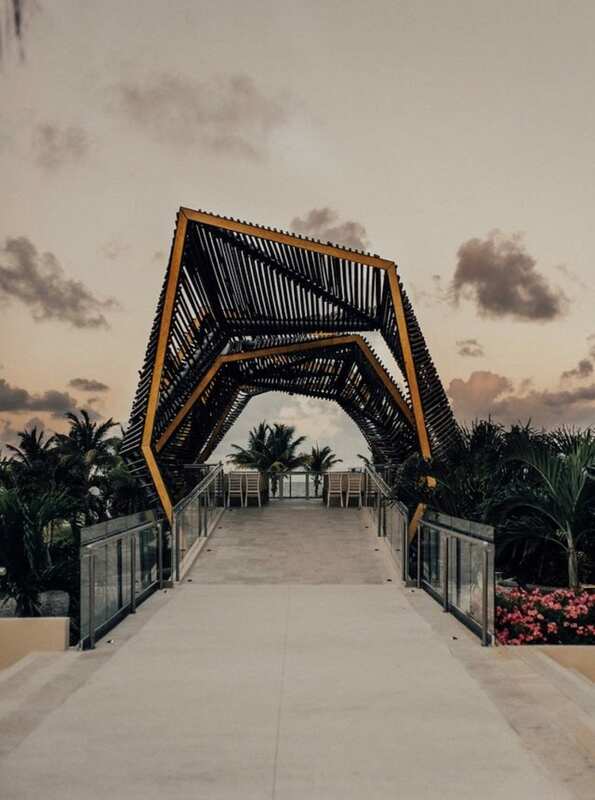 Read on for more details on McKayla’s wedding at The Royalton Riviera Cancun and Marissa’s wedding at Moon Palace Cancun. 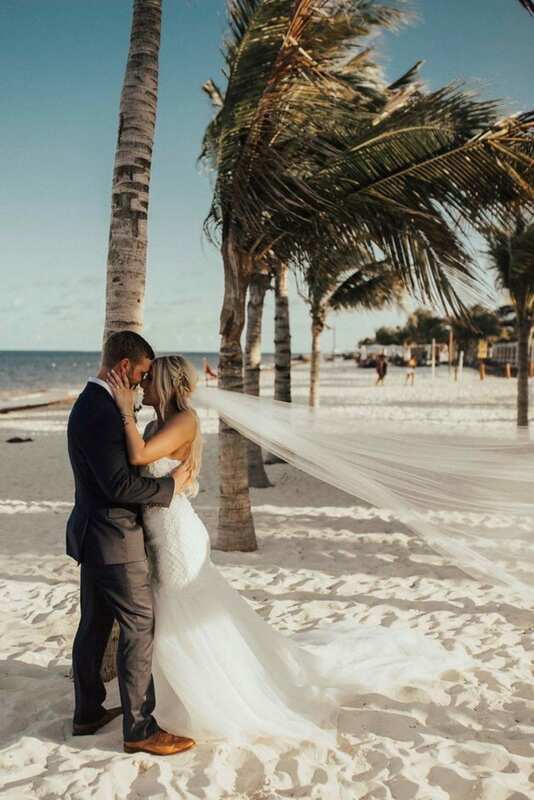 McKayla’s destination wedding was at the Royalton Riviera Cancun on May 3rd, 2018. They chose the Royalton for the beautiful, modern chapel on property, where they held their ceremony. They wanted something different than the usual beach wedding but also wanted to keep their big day as traditional as you can get with a destination wedding. The chapel ceremony provides exactly what they were looking for and the photos speak for themselves! 30 of McKayla and Logan’s closest friends and family joined them in Cancun for their destination wedding. They chose to say their vows in a sunset ceremony that began at 5 PM, which provided the perfect backdrop for photos and videos. McKayla suggests that for those wanting a sunset ceremony like hers, couples should consider having a first look before it starts. They didn’t have much time in between the ceremony and reception to get all the pictures they wanted, and all of the reception photos were in the dark. McKayla really prioritized her photos and video for the wedding, so if you also consider these aspects of your wedding to be super important, take her advice! “Everything turned out as perfect as we could have imagined,” McKayla says about her big day. “The weddings department at Royalton was extremely easy to work with and they had packages for any budget.” McKayla customized her wedding and cut costs by using fake flowers and going simple on decorations. The decorations she did have she brought with her from home and this let the beautiful setting be the main focus when it comes to decor. 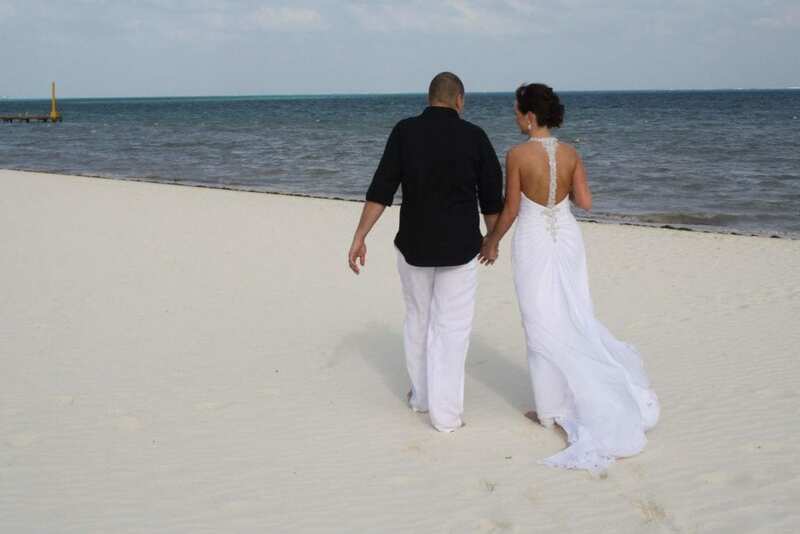 Marissa’s destination wedding was at Moon Palace Cancun Resort in 2010. She chose Moon Palace because of the size of the property and the variety of activities for their 26 guests. This resort is also close to the airport, so it is convenient to get to. Marissa’s favorite part was that instead of celebrating for 1 day, she celebrated for a week! “I loved everything about the resort, our wedding, and the overall experience. We were the first ones to arrive to the resort and the last ones to leave,” she said. Moon Palace provided a great setting for her destination wedding. Her group tended to gravitate towards one of the pools and would meet at the lobby bar each evening. The night before their wedding, they had dinner with their whole group at the Italian restaurant on property. After dinner, they headed to the onsite nightclub for a night of dancing. Her and her bridal party spent the morning at the salon getting ready for the special day. Her ceremony was at 2:00 PM, and afterwards they had pictures and cocktails on the beach. They had dinner at the steakhouse on the resort, Barracuda. The celebrations did not end there, though! The next night they hosted another dinner together and danced all night at the nightclub. “We were treated like royalty all week and the staff at Moon Palace was amazing,” she said. Call us today to speak to McKayla or Marissa about your own destination wedding in Mexico, the Caribbean and beyond. You can reach us at 402-390-9291 or get started here.